Would you like more information about becoming a sponsor? Please send us your name and email and we'll contact you as soon as possible! What is Agape Outreach Homes? Agape Outreach Homes is a 501(c)3 non-profit organization which provides housing and care for men with severe persistent mental illness. Agape is a Greek word meaning “unconditional love”, and Agape Outreach Homes exists to extend this love to our clients and community. We serve 24 adult men through education/training at the home on all daily living skills (cooking, cleaning, medication management, etc. ), and partner with a psychosocial rehabilitation program (PSR) that offers classes about their mental illness, coping skills, and much more. Also offered are opportunities to acquire a GED, get a job, or even attend college. Our program gives individuals housing, effective treatment, education/training and support with a holistic approach that prevents hospitalization and “graduates” them into independent living. BUY TRUFFLES FOR MOM AND SUPPORT AGAPE! Our Garden Drive home has flooring issues. The floor currently has VCT tile that is cracking and breaking and it is in need of being replaced. So we need to raise money to provide a new vinyl floor. Starting April 12th, Agape will be selling boxes of truffles. One box of truffles is $16 or 2 boxes for $30. A box of truffles consists of 10 truffles and you have a choice of a box of Oreo or Lemon Creme. 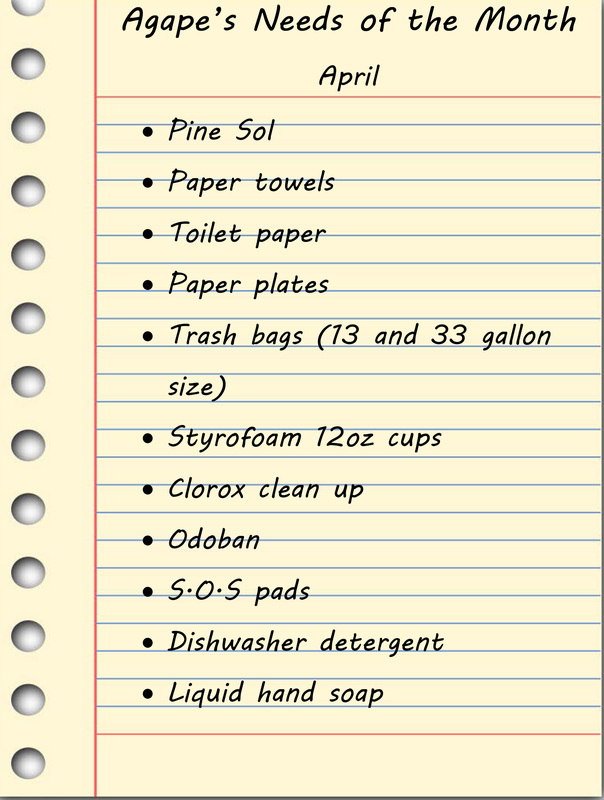 All orders will be available for pick up at Agape’s 5403 Jacksboro Pike location May 8 - 10 between the hours of 9am - 6pm. 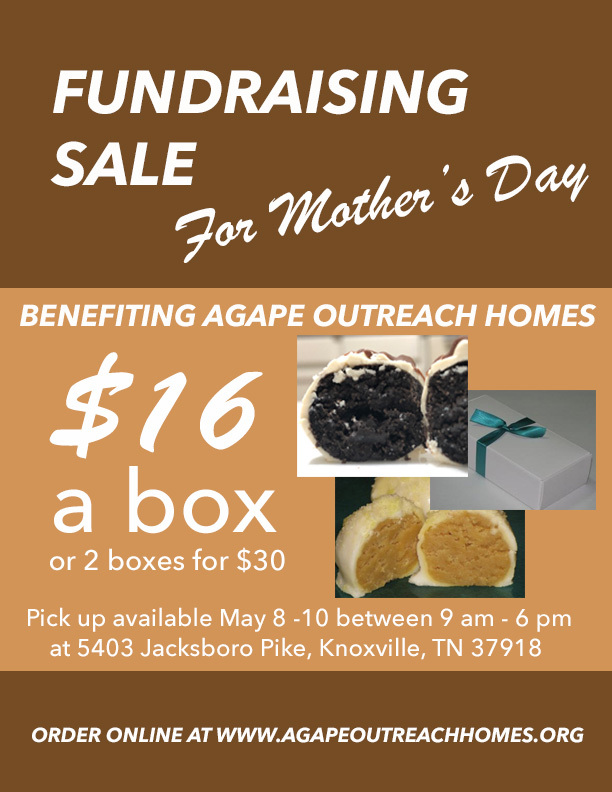 Get something for mom on Mother's Day while helping Agape get a new floor.